At Smart Money People we’re passionate about helping consumers to find the best financial companies out there, and making financial services more transparent and accessible. Since launching we’ve become the UK’s No.1 review community dedicated to making financial services more transparent. We’ve achieved this thanks to you, and the thousands of others that have joined our mission. Your contributions will now earn you Karma Credits. These Karma Credits will determine what your user level is, and where you sit on our leaderboard. On any review across our site, you’ll see a user’s level. This tells you how many contributions they have made to the Smart Money People community, and gives you an at a glance view of how active a member of the community they are. We’re all competitive, right?! Our very top performing users are passionate about leaving reviews, so to show you the most active users of the community, we’ve put together a leaderboard so you can see just who has the most Karma Credits. Think of it as our review hall of fame! For doing really awesome things on Smart Money People, we’ll give you achievements to show off on your profile page. 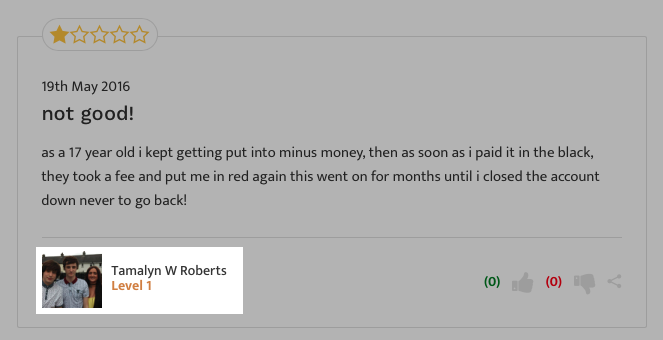 These can range from “P2P Expert”, showing that you know your stuff when it comes to peer lending, or simply that your reviews are awesome and marked as helpful, or even our coveted Editor's Pick - which our team pick. How do I get Karma Credits? When you do something that helps our community grow, we’ll say thank you with Karma Credits. You’ll earn these for writing new reviews, collecting helpful votes by writing great reviews, sharing reviews, or even by becoming a pet insurance review expert! Basically, if you’re a useful member of our community, we’ll give you more Karma Credits. Your reviews help other people to get the inside track on hundreds of financial organisations, from big banks and insurers to new FinTech organisations and everything in between. Your reviews also help these financial organisations to learn more about what’s working well, and what they could do to improve. The more Karma Credits you have, the more you’ve contributed to the Smart Money People community. You’ve helped to make our vision of a more transparent financial services industry a reality…and Karma Credits are our way of saying thank you. Our mission is to "increase trust and transparency in financial services." One of the ways we do this is through encouraging authentic user reviews. By highlighting the top contributors in our community, we allow any user on Smart Money People to see what other users have been reviewing. 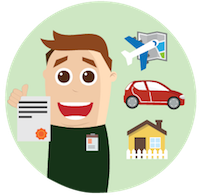 If you look at someones profile and see that they've reviewed twelve different car insurance companies, you can get a better sense that they know a bit about what to look for when it comes to looking for an insurance policy! Make your first step into the world of Karma Credits by writing a review!